Sinajana is centrally located on the island. The village is perched on the hilltop above the island’s capital city, Hagatna. Due to the convenient location of this village, everything is close in proximity. The village is bordered by Hagatna, Ordot-Chalan Pago, and Agana Heights. Sinajana is a five minute drive to the U.S Naval Hospital in Agana Heights. Agana Heights is its neighbor village, less than a mile away from the center of Sinajana. You should also expect about a half hour drive should you need to travel to the areas of Anderson Air Force Base in Yigo and the U.S. Naval Station is Santa Rita. Sinajana is known to be a small and quiet community. It has well-lit sidewalks that cover the entire village. Sinajana is mostly a residential area, with a few small convenience stores throughout. Its population is estimated with approximately 3,000 residents. Homes in this area are built close to each other and have small yards. Most homes are fenced in or have built cement walls around their properties. You will also find that Sinajana provides a few apartment complexes with great views. There are two main schools located in the village: Carlos L. Taitano Elementary School, a public school, and Bishop Baumgartner Memorial School, a private Catholic school. There is also a fire station, small convenience store, a couple gas stations, mini market, St. Jude Thaddeus Church, mayor’s office, and a community center that are frequently used by the village residents. 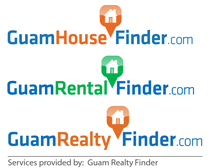 Sinajana is conveniently located just down the road from the Agana Shopping Center. The Agana Shopping Center is a shopping complex filled with retail stores, restaurants, and a movie theater. There is also a supermarket and a variety of restaurants throughout the Hagatna area. Sinajana has a few activities to help keep you active. The offers a Community Center, a Senior Citizen Recreational Center, the Chief Hurao Chamoru Cultural Camp, and a sports facility equipped for basketball and baseball. These all help to provide a great opportunity to spend time with family and the community. Since there are sidewalks at every corner of the village, it is a great place to go for a run or evening walk. The traffic in the village is minimal, keeping the village peaceful and quiet. The village also hosts its annual fiesta every October. During these fiestas, the entire village gathers for a large feast full of great local food and entertainment. You have not experienced living on Guam until you have experienced the island’s fiestas. Sinajana is truly a great community that is not far away from the downtown areas. It is a proud community that takes care of their village. It is very beautiful and tranquil, and it will not disappoint those who call Sinajana home. Come visit Sinajana.